We have face, top and side grinding wheels for AKEMAT, VOLLMER, WALTER & UT.MA grinding machines. Our triple grit topping wheels have been an industry leader for over a decade. We also carry tool and cutter grinder wheels, router bit wheels and CBN wheels for most HSS machines. 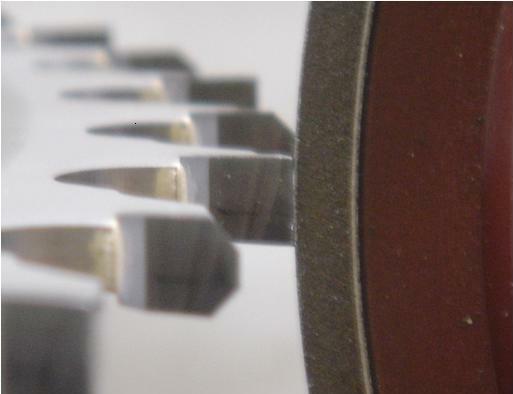 We have a vast inventory of both SEBALD and TYROLIT wheels in various diameters, thicknesses and bore sizes. We stock cup wheels and grinding rings for most common knife grinders. 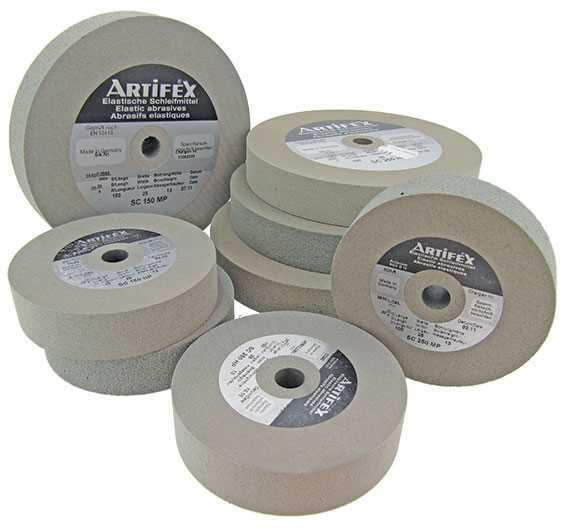 Rubber bonded, silicon carbide polishing wheels, to fit all types of polishing machines. Petschauer, Foley, Kirschner and Gerling machines. 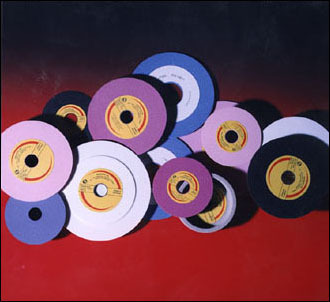 Wheels from 6″ diameter to 10″ diameter in both 24 and 46 grit. Various thicknesses available. We also have Cork wheels in 10″ diameter.